Last weekend I volunteered at the Twin Peaks Ultramarathon. The race is practically in my backyard, taking place in the Cleveland National Forest around Saddleback Mountain. The course is scenic but brutal. The 50 mile race has 17,000 feet of total elevation gain! I was stationed near the top of the course at Upper Holy Jim, working with folks from Riverside County RACES. The crew was great, arriving well before dawn and then being the last off of the mountain with us, well after dark. While on duty we recorded split times as runners passed by, offered directions to those wondering which way to turn next and circulating back down to another aid station at Bear Springs to keep supplies of Gu and Nuun fresh. A few trips down and back (maybe 3 miles total) convinced me that this race wasn’t for me. The winner of the 50 mile race was Hiroki Ishikawa who finished in 9:05. I’d met him the night before at the volunteer dinner. 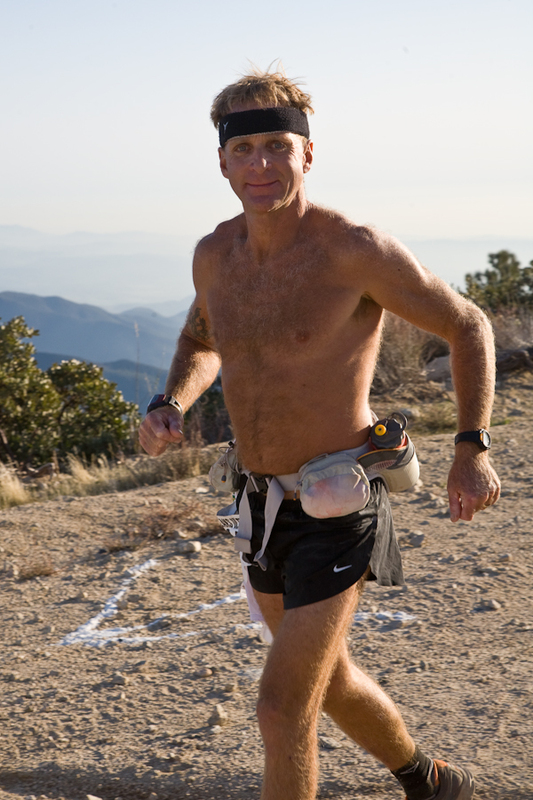 He’d flown in from Japan and is an accomplished ultrarunner. (See his profile on Patagonia.) I met several other folks during the dinner and cheered them on as they crossed by at mile 25, mile 40 and again mile 45. Ross Davidson, from Kentucky, was in California on business and decided to tackle the 50K before returning home, seemingly on a whim. He was begging for bourbon, instead of water, at our station. Mike Fugget, from Hawaii, was using Twin Peaks as a qualifier for the H.U.R.T. 100 mile run in Hawaii. We ended up waiting for a few runners well after dark, literally packing up the station and following them down the windy fire road by vehicle (some great video of the bumpy road here on Billy Burger’s blog) while they continued to run in the darkness. I felt terrible when I saw the results the next day for the two women bringing up the rear of the 50 mile and 50 K races. They’d come so close, only to end up as DNFs. And, while exceedingly annoyed at one runner who ignored the cutoff times, I couldn’t help but be a little proud to see his name with a time in dead last. True perseverance. Everyone that passed that day was truly inspirational, whether smiling and in great shape or struggling to the end. 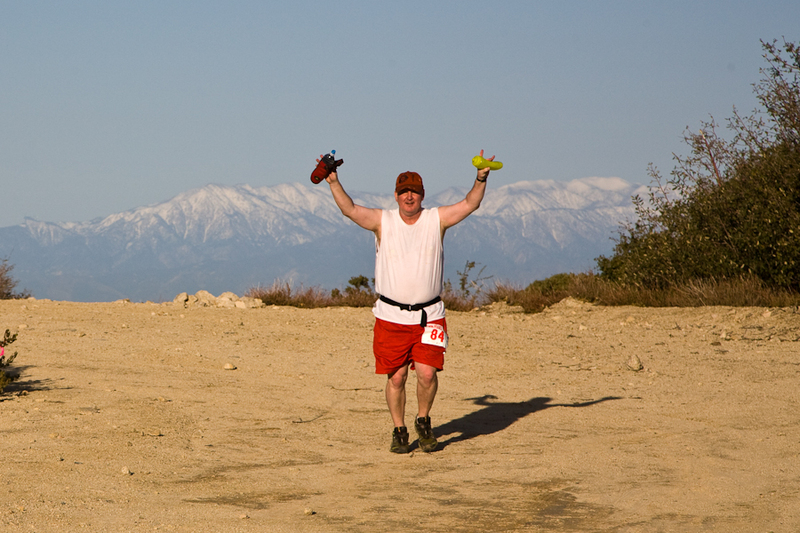 This entry was posted in Running and tagged marathon, race, Running, trail by Todd. Bookmark the permalink. Wow, 50 miles? That’s CRAZY. These people must be stopped. Only it seems they can’t be. They just keep going. Some of those pictures are interesting, especially how they show the variety of people that take place in this. I wouldn’t peg some of them as ultramarothoners just by looking at them.